The Lakota East girls come in 1-2 in this one and it really isn't even that close. Heath and Clark have distanced themselves from the rest of the field and should drop 18 points in this event on Saturday, and possibly even dip under 7.5 and into the top 10 in the US. They won't go down without a fight, though, as Twinsburg's Nya Bussey and Amherst Steele's Taylor Hooks may be a ways back, but still should not be counted out as they have both shown they have the chops to compete with these two. Bedford's Kaira Granger is also not far off, and Mentor's Paige Floriea makes it six girls under 7.7 seconds heading into Saturday. The top 8 will be a tough nut to crack so keep an eye on this race this weekend. 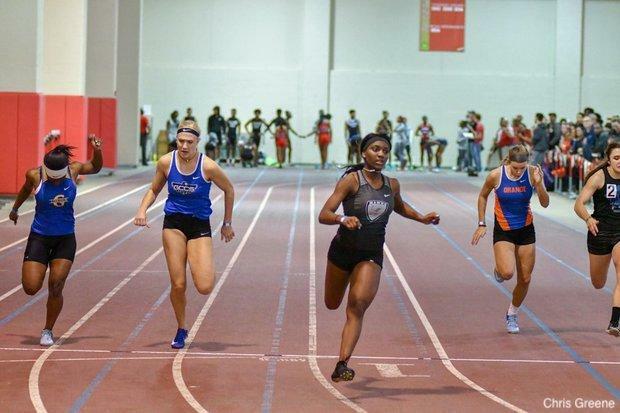 This isn't terribly bold as Pickerington Central's Jaydan Wood has the 400 on lock this season, but in the 200, she will be matched up against some of the top sprinters not just in the state, but in the country. Wood enters Saturday's championships nearly two seconds ahead of two-seed Lakota East's Danni Stoughton (56.95) with her 55.18 best. Indoor and outdoor, she has ran faster than that 57 seconds an astonishing 30 times since her first time under in 2016, she has never finished worse than fourth in her 6 trips to the state meet in the event, and was the 2018 indoor and outdoor state champion over the quarter mile. She has the 400 not only lock this season, but in her career! 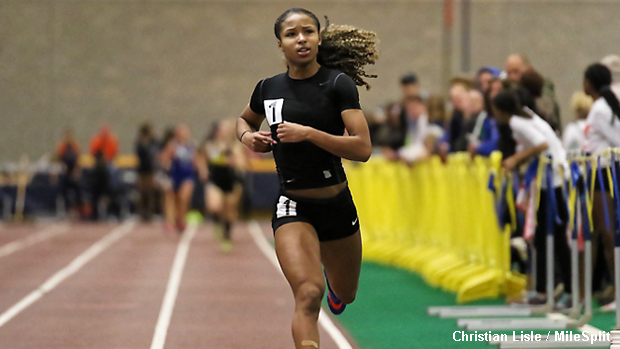 In the 200, though, she is the third seed, matching up with Lakota East's Serena Clark (24.01) and Mentor's Paige Floriea (24.71), both mentioned above in the 60 dash preview. She finished fourth here last year and has yet to set a personal best this winter, but Saturday could be the day she does it, breaks 24 seconds, and brings home the 200/400 double. Ohio's top two hurdlers will go toe-to-toe on Saturday for the individual title in the 60m Hurdles as Calista Manns takes on Leah King. Manns has put down an 8.79 best this season and heads in with a significant advantage over King and her 8.87 season best. Last winter, an 8.86 got her second while Manns finished fourth. Manns has broken out in a big way since taking second in the D3 100 Hurdles this spring (14.13) as she as dropped from 9.21 to 8.79 so far and cemented herself as a major factor in the events right now. King still boasts one of few sub-14 PRs in the 100 Hurdles in the country and won both hurdle events in D3 this spring. Indoor, she is still the queen of the 60s (as the top returner) until proven otherwise. 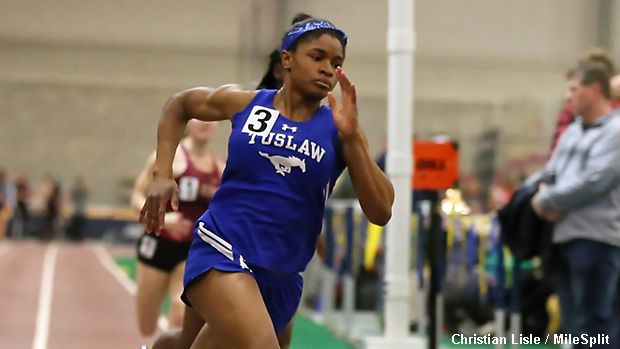 Tuslaw's Ke'Aijhan Strong should be poised to bring in the repeat in the 400 this season, much like the afore-mentioned Jaydan Wood in Division 1. Strong has been looking strong all season in the long sprints headlined by her OH No. 2 56.77 in the 400. She comes into the meet Saturday as the top seed by nearly a full second and will be challenged by Cornerstone Christian's Abby Suszek (57.65) and Indian Hill's Anna Podojil (57.98), but should come out on top on Saturday. In the 200, also like Wood, she will have her hands full. The senior is also third seeded and will have to take down the East-Youngstown duo of Jahniya Bowers (24.76) and Kyndia Matlock (25.16) en route to the 1-lap title. Keep an eye out on this one as Tuslaw could break up the duo's hopes of dropping an 18-spot on the field here.